We are excited to introduce the AWS Networking Competency—a new program for APN Technology Partners that we launched at the Global Partner Summit at AWS re:Invent 2017. AWS Networking Competency Partners are Advanced APN Tier Partners that provide network solutions to assist customers in adopting, developing, and deploying applications on AWS. They offer a set of specialized solutions that auto-scale, align with cloud design principles, and make it easier to use networking features in an Amazon Virtual Private Cloud (Amazon VPC). The AWS Networking Competency launched with 18 APN Partners across five categories: networking connectivity, AWS Direct Connect integration and infrastructure, load balancers, and network management. What is the AWS Networking Competency? We’ve set a high bar to become an AWS Networking Competency Partner, as we want to help customers identify and connect with APN Partners that can support them in multiple areas, including networking connectivity, AWS Direct Connect, load balancers, and network management. To become an AWS Networking Competency Partner, enterprises undergo a strict validation of their capabilities to demonstrate technical proficiency and proven customer success. These APN Partners must also complete a technical audit of their networking solution or practice. 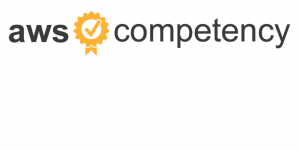 The AWS Competency Program is the global APN Partner program that helps customers find the most qualified organizations with deep expertise and proven customer success. In addition to networking, we are focused on providing customers and sellers with guidance in solution areas like Big Data, DevOps, Migration, and AWS IoT; in vertical markets such as Financial Services, Healthcare, Life Sciences, Government, and Digital Media; and with enterprise business applications like Microsoft Workloads and SAP. Customers interested in engaging an AWS Networking Competency Partner can search for and connect with APN Partners. APN Technology Partners specializing in networking can learn more about becoming an AWS Networking Competency Partner. If your enterprise is building capabilities around networking, check out our APN Partner Journey and the tools available to you. As an AWS Networking Competency Partner, APN Partners become eligible for a number of business, technical, and marketing benefits. To learn more about these benefits and the requirements to apply, see the AWS Competency Program page. To learn more about the benefits of joining the the AWS Partner Network (APN), see our APN Partner website.